This button will take you to the Crescendoh checkout system to complete your order. This is a 4-week online course that will begin Monday, October 18, 2010, but you don't need to take it exactly that day. The videos will be uploaded and available to you so you can learn to your own pace, whenever you have time. 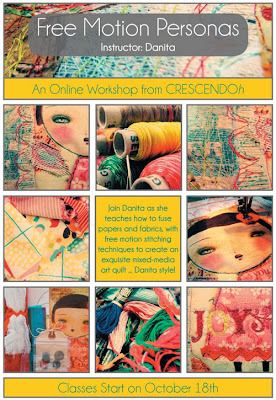 Once you enroll, you will receive a FREE Danita's Free Motion Personas Kit that includes: Danita image of angel printed on fabric, Felt, Batting, Muslin, Buttons, Crocheted flowers, Art tissue (white and colored), Cheesecloth, and Ephemera. Almost all you need to complete your project! weekly video tutorials and written materials. Discussion forums to answer your questions and share your progress. Are you ready to have fun? Let's do it! Let's learn how to make a mixed-media art quilt! You don't need any previous experience sewing or quilting or painting, I'll teach you all about it in the course. 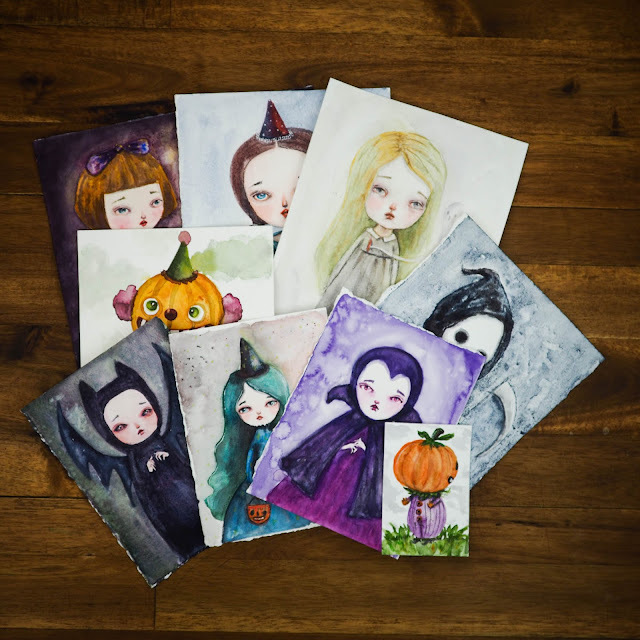 A sewing machine will be required for the free motion stitch part, but if you don't have one you can stitch by hand or skip this part and have fun painting and making mixed media collages!